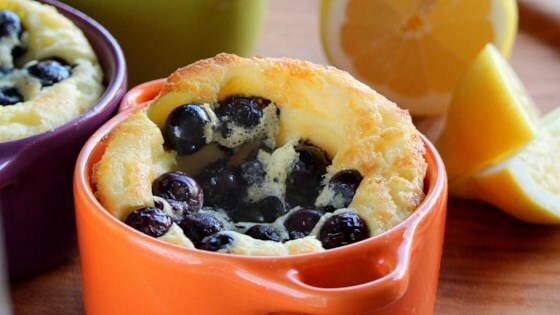 "A special popover recipe to serve at your next brunch. Eggy and rich but not too sweet and quite impressive, but simple. Please try the lemon juice and powdered sugar on the top. It really adds to the total flavor!" Put a piece of butter into each of 6 large muffin cups. Rich, eggy and bursting with blueberries!